We probably reminded them of the obscene abuse Dyche received from Conte. deanothedino wrote: But on the flip side the investment has been fantastic for the area around their ground. It was an absolute sh!th0le. exilecanada wrote: Pep hasn't yet delivered the prize he was hired to deliver. 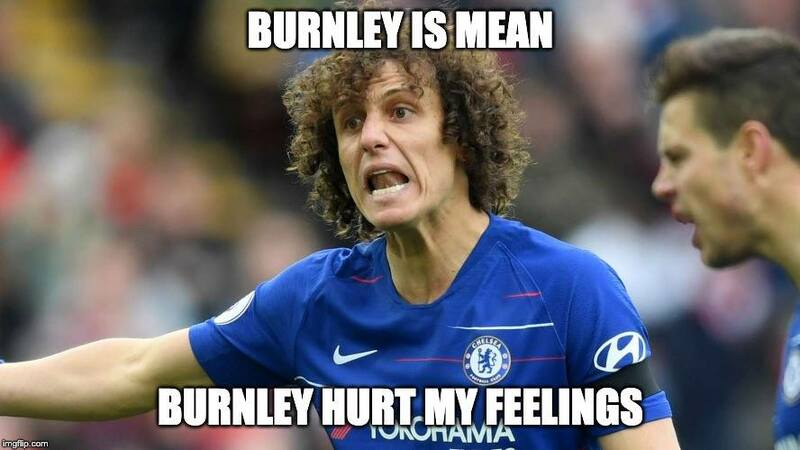 In his post match press conference after the United game he said the usual "Burnley are complicated and so tough, they have Wood and Barnes and also McNeil - he is a top top player"
dandeclaret wrote: Jesus Christ..... Mini Clearout? ClaretTony wrote: He’s been excellent, a major player in the second half of the season. so at the supporters player of the year award Joe Hart is on Sky tv. Any other players missing ? they could well be resting players against us for a European final at this rate ! the amount of space Ben Mee manages to get himself into he should be scoring 4-6 goals per season, bloody square head ! Colburn_Claret wrote: I dont think theres any need to snicker, we might have a budget of 50 million and still be lucky to spend 10. They do what's good for Norwich, so good luck to them. FactualFrank wrote: Talk me through the goal, VC. could well have been, it was bloody quick ! Bullabill wrote: Sorry, you have to have a mobile to register - I wasn't clear was I ? ClaretTony wrote: I did an interview back at the start of the season and Dean Saunders was on. He was excellent and actually listened to what I was saying and responded accordingly. Must have been in the evening ?!! I'd love you to get on and educate Adrian Durham !!!!! FactualFrank wrote: Tony was pretty much bang on with what he said. I've been warned off Talk Sport - is it always this neutral? some of the night presenters are decent but daytime is hideous, I suggest you choose when you listen.